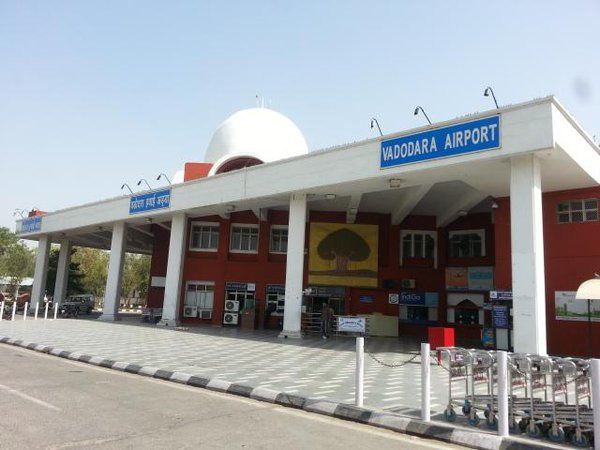 Officially known as the Civil Aerodrome, the Vadodara Airport serves the city of Vadodara in Gujarat. Bus: 5.4 km from Vadodara Bus Stand. Rail: 5.5 km from Vadodara Railway Station. Formerly Baroda, Vadodara in Gujarat is located on the banks of River Vishwamitri. The city is known for the Lakshmi Vilas Palace, the residence of the Gaekwads, the Maratha royal family of Baroda state. Vadodara is well-connected through air route to all major cities in India. Book cheap flights to and from Vadodara Airport at lowest airfare.